Centuries before Iniki struck, the land belonged to Kauai’s royal family. The lush coconut grove along the Wailua River was home to Queen Deborah, the last reigning monarch, whose remains have never been found. Rumor has it that she walks the halls of the resort. 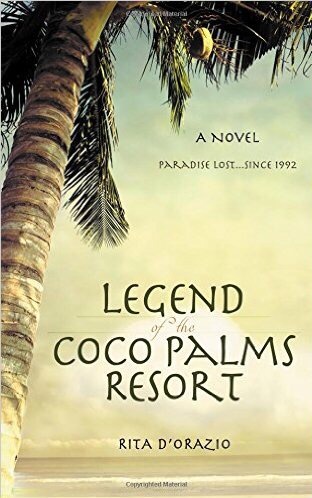 Legend of the Coco Palms Resort by Rita D’Orazio is fascinating. Her novel brings readers to Hawaii. A tropical place that is exotic and loved by many. Here, I got to follow the main character to a place called, Coco Palms Resort. Once upon a time, this was the most expensive and popular resorts know worldwide. The rich and famous would come there to visit. But then, a hurricane came and all was lost. Destruction took over. Since then, real estates have tried to take over the property. It’s a real money spot, only if they can get to it. So far, no one has succeeded. Plus, there’s rumors that it’s haunted. Now, enters the protagonist, Abby. She’s a lawyer hired to go scout it. But what she finds is more than anything she ever thought. I loved how themes like family, culture, heritage, and love were present here. Rita D’Orazio has captured them beautifully. The scenes come to life with every page. The characters and their personalities snag readers like myself further into the plot. Soon, I found myself at the ending. It was brilliant. I truly enjoyed following this adventure from beginning to end. A lawyer turned into a business woman and the new treasures she finds is worth reading…Overall, I highly recommend this contemporary women’s fiction to readers everywhere.